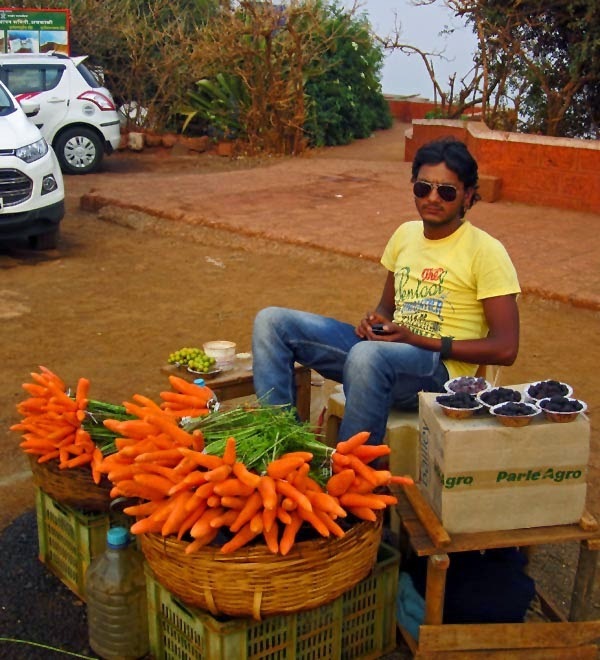 These pictures are from a popular tourist spot - Mahabaleshwar. 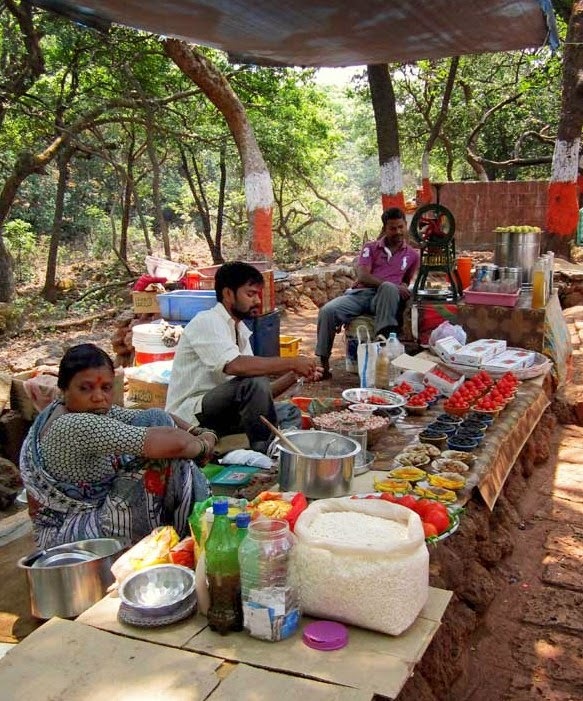 Tourists throng here to see the sights at the hill station and they also get treated to a lot of snacky food - but snacks like bowls of fresh fruits and vegetables and fresh juice and buttermilk! Not processed food. No sugar laden chemical laden soft drinks and no sandwiches or burgers. Lots of berries, fruits, corn cobs, carrots and lemon juice and butter milk! These are not markets...but snack joints. Lets hope they stay this way. 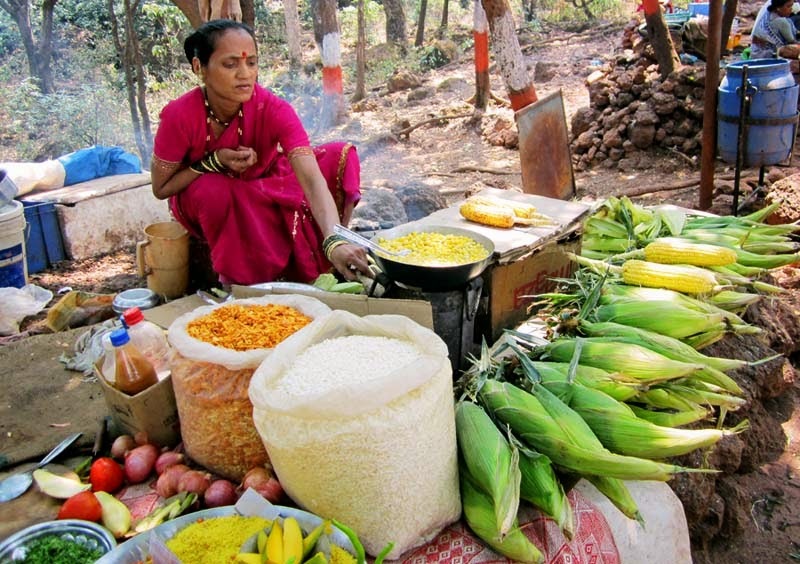 A woman vendor in a pink sari boiling corn to serve as a snack to tourists. Lot of berries - black berries, mulberries and strawberries. 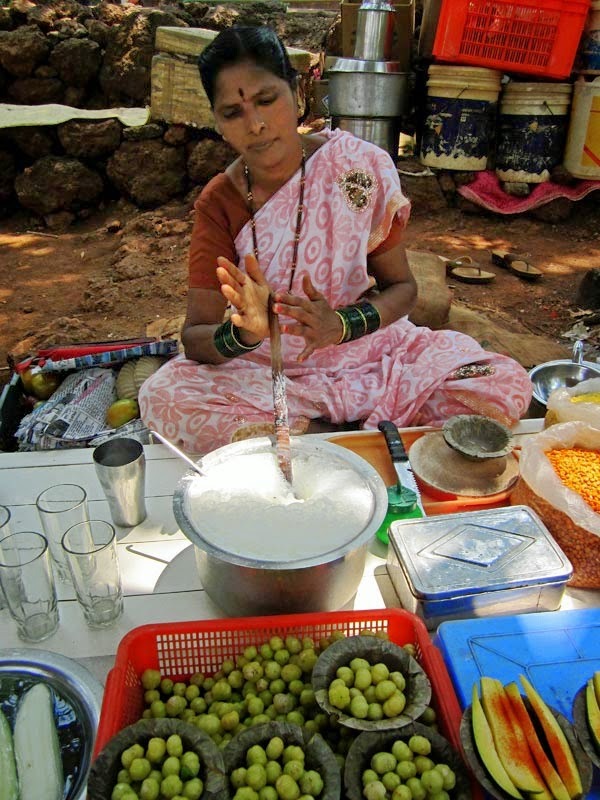 A man selling lemon juice in the background. Check out all the photos filed under the label Food or all photographs of vendors or if you are looking for fruit and vegetables being sold try photos of Markets.